Conservatorium Maastricht, violin: 5. 7. - 15. 7. Robert Szreder (1946) was born in Deblin (Poland). He studied under professor Z. Brzewski at the Warsaw Academy of Music and graduated in 1970 with excellent. Before moving to the Netherlands, his present home, Robert Szreder had already been among the prize-winners at the International Gaudeamus Interpreters Competition in the Netherlands, Bela Bartok Competition in Budapest and some others International Music Competitions. At present he is the professor at the Music Academy in Maastricht. He is also visiting professor of some Music Academies in abroad and gave master classes in the United States, Russia, Ireland, Poland, Germany, France, Spain, China, South Korea, Turkey and many other countries. Robert Szreder performs in various festivals such as the Beethoven Festival in Sweden, Mozart Festival in the United States, Warsaw Autumn in Poland, Holland Festival. He has toured with great success all Western Europe, the United States, South America, Asia, Poland, Russia, and Czech Republic. Slovakia, Bulgaria, Hungary and made numerous radio, television, LP and CD recordings. He has been invited as the jury member of several music competitions. Robert Szreder was the first and till now only one artist to be invited to give a gala concert on the occasion of the 50th anniversary of the International Court of Justice at the Peace Palace in The Hague. As the conductor he conducted several orchestras and ensembles in Netherlands and abroad. Since 1974 Robert Szreder has resided in the Netherlands. 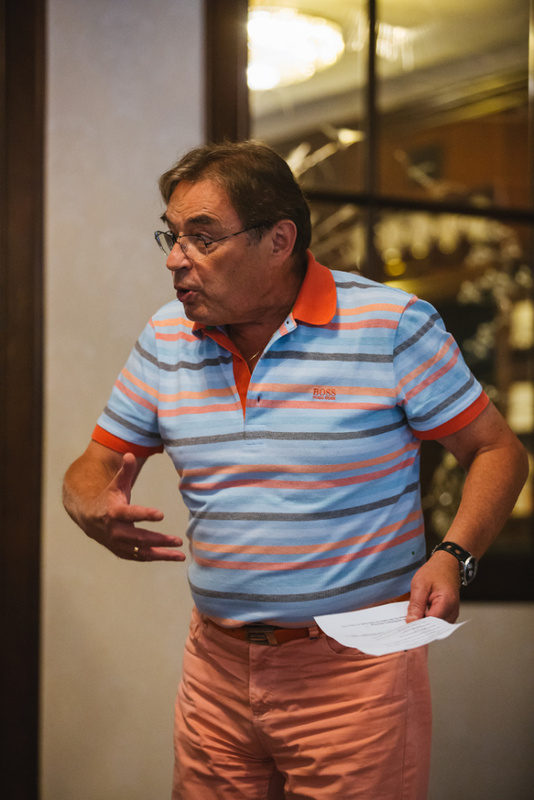 From 1996-2015 he was the president of the Foundation "Robert Szreder Stipendium” and from 2015 he is the director of the Robert Szreder Young Musicians Management. He was decorated with several international distinctions (as for example Order of the International Court of the Justice, The Medal of Thomas More Society). The President of the Polish Republic awarded him a Medal of Merit to the Polish Culture and Officer’s Cross of the Order of Polonia Restituta.